Get a silky-smooth shave anytime, anywhere with the Carzor from Infmetry ($11). 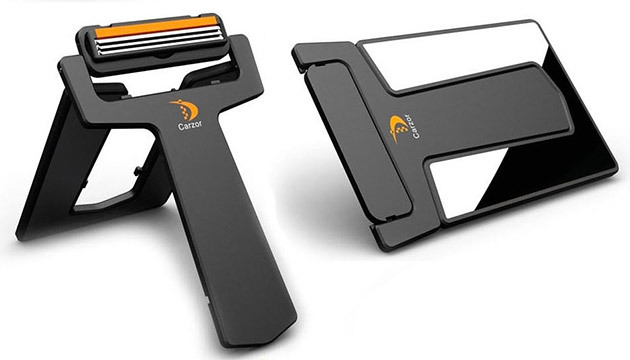 This compact 2-in-1 grooming kit features a razor and a mirror that snap together into a credit card-sized travel form that easily fit in your wallet. And although the Carzor doesn't come included with a shave cream, each Carzor cartridge comes with a built-in scent strip available in mint, sandal, lemon, ocean and orange.